Tons of people across the globe note waking up at the witching hour and most have no clue why, if you are someone who wakes frequently between 3 am and 4 am you might be quite confused. 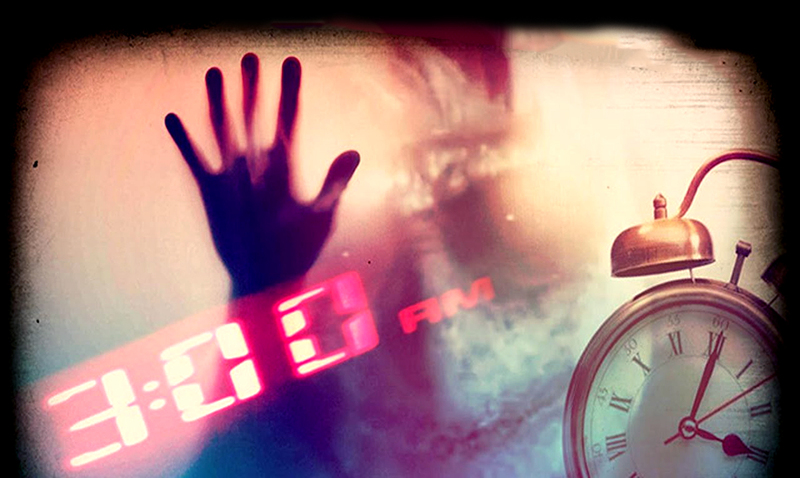 While the reasons why we wake during the witching hour can vary, the weird things that happen during it are quite prominent even to those who are skeptical at best. For those who do not know, the witching hour is something that many interpret in a lot of different ways. Many believe it is the time of night when the veil between this world and the world of the no longer living is at its thinnest point. This meaning that ghosts and other things of that sort are able to travel from one world to the other without much struggle. That being said many also believe it is a time during which those who are ‘special’ or ‘gifted’ in the spiritual aspect of things are at their full potential. When we wake during this hour we often feel quite disoriented and ‘weird.’ This many blame on our sleep cycles and REM sleep in general. The witching hour in many ways hold lots of pain and negativity when you break things down as it was used to damn those who were thought to be witches. You see, people of the past believed that witches used the darkness as their source of power and so practiced at night (during the witching hour). Not too long after Pope John Paul, the second and the Catholic Church defined the witching hour, a witch-hunting trend began in Europe. The region was plagued with disease and political unrest and many people believed this to be the work of witches and other people practicing magic. Suspicious citizens believed that the witches and supernatural creatures responsible for their misfortunes carried out their ritual at night while everyone was fast asleep to avoid getting caught. Other people believed that the witches and sorcerers practiced in the night because the darkness was the source of their power. In spite of the differences in opinion, they all agreed that it was at in the wee hours of the night where you would be most likely to catch the suspects in the act. This belief spread like wildfire and soon many people were getting arrested and persecuted on witchcraft accusations simply because they were out and about during the witching hour. There is no sufficient evidence to support the claims of the mobs but they truly believed that they were absolutely right. The same trend was repeated several times over the years not only in Europe but also in The United States with the most famous being The Salem Witch Trials. In a nutshell, belief in the Witching hour has led to the loss of countless lives over the years in the witch hunts. Throughout the years there have been several interesting things uncovered regarding the witching hour but chances are you won’t hear much about any of them. For instance, hospitals report more deaths during 3-4 am. The chances of death are actually much higher during this time of the night/morning. Strange, isn’t it? It doesn’t stop there, most cases of sleep paralysis also happen around this time as well. There has to be something more to this, right? Well, sadly there is no real way of pinning that down just yet. Different cultures have their own definitions to the witching hour and while all are similar in ways, they are also all very different. As someone who tends to wake during the witching hour, I believe there is more to it than we will ever fully understand. If you experience strange things during the witching hour then you’re not alone. With a quick search online you will find that there are far more people than you’d ever imagine experiencing the same thing. One Reddit user even went so far as to note having woke every single night for ten years straight. To learn more about the potential ‘sinister side’ of the witching hour please feel free to check out the video below. Whether you believe in things like this or not, it is an interesting concept. How do you feel about the witching hour? Could there be something ‘more’ keeping you up? Perhaps keeping a journal for this time at night could benefit you in the long run.